If you attended Walter Bickett (Monroe High School), you know all about our awesome winning football teams and you should have no problem identifying these people. If not, you have two choices: (#1) brush up on your Nita Articles or (#2) pray for comments. 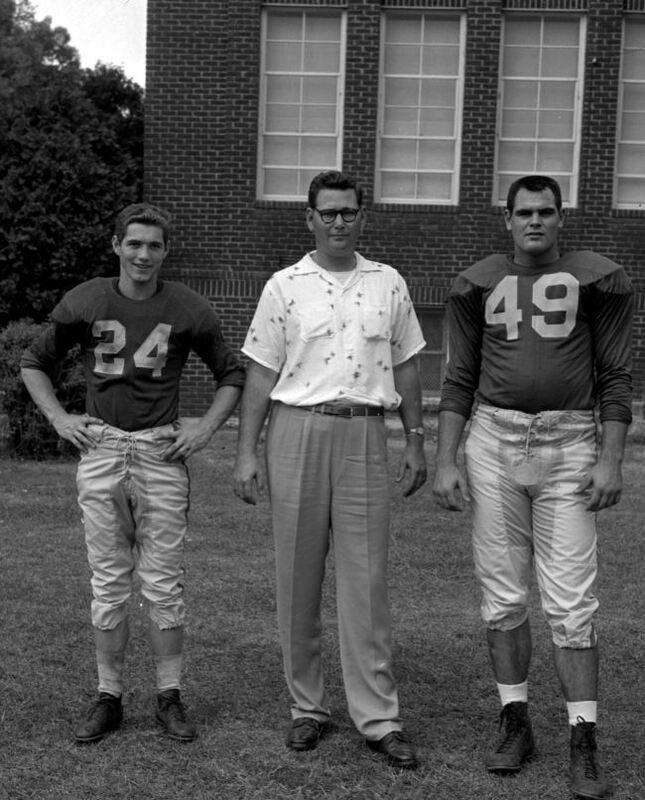 These two Monroe Rebels were Tommy Nash (L) and Horse Howell (R) with Coach Harry Jaynes in the center. The year was probably 1955.